Discover Siciliy’s authentic rich culture through its splendid gastronomy! Indulge yourself with genuine mediterranian flavours, discover the beautiful Sicilian countryside and learn about this authentic rich culture through its gastronomy with the help of locals. Our accomodation is in in a picturesqe typical Sicilian “masseira”, a farmhouse in the countryside between the two charming baroque cities, Modica and Scicli. 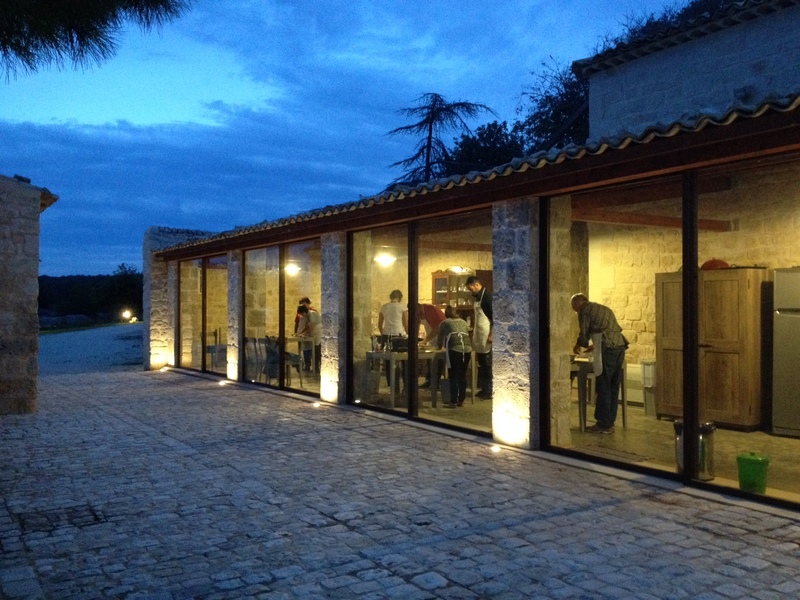 The recently restored building is surronded by century old carobs and olive trees, has a panoramic swimming pool and a beautiful grand kitchen which will provide the venue for one of our cooking classes. We are inviting you to visit one of Italy’s best olive oil and tomato sauce producers in the countryside of Chiaramonte and to peak behind the curtains guided by the owner as he invites you to taste the best Sicily has to offer. The organic farm beside the olive groves and cypresses has a vineyard with a remarkable wine selection which we will also enjoy during our lunch. As part of our sightseeing of the delightful city of Modica, we will visit the town’s most famous and oldest chocolate artisan manufactory. Not only we will have the opportunity to taste the delicacies, we are also preparing some delicious sweets. We will taste and learn about the original preparation methods of some of the most famous Sicilian cheeses such as Ragusano DOP, in a typical traditional farm. To make this experience very special, we can prepare our own provola cheese and fresh ricotta with the help of the owners. These things cannot be bought in shops. Our culinary includes two different types of cooking experiences: firstly the preparation of a traditional course at our accomodation with an experienced local “mamma”, and another cooking class with the chef/owner of a well known restaurant in Scicli. Tips and tricks from the masters of Sicilian cuisine. After both of these cooking classes we are to enjoy a well deserved dinner from the meals prepared together and relax with some local wine. A bit of chaos, vendors yelling, a myriad of colors and delicious smells, fruits, fish, cheese, oils and much more, everything locally produced. A food market visit is a unique experience in Sicily. One we can never miss, and you will not soon forget. 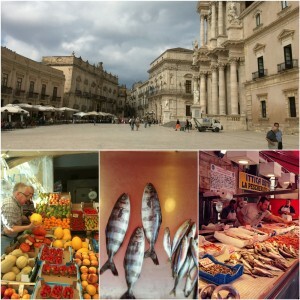 We will take you around in Sicily’s best baroque towns in the region of Ragusa. Discover the ancient Syracuse, as it is one of the most breathtaking historical cities of the island. Give your mind and body a boost with the yoga classes on the pool side and on the seashore. The lush gardens and scent of the sea provide the perfect backdrop for the yoga classes with sunshine and clear skies. Classes are open to full beginners to advanced students, all will be finding challenge in the different sequences. To have a truly unique experience, we will organise everything from transportation through the activities and accomodation, so you don’t have to do anything, other than lay back, enjoy and taste the best of secrets Sicily has to offer! We travel with small groups with the maximum of 9 people. If you register a private group of 6-8 people we can customize the activities, dates and themes (wine, chocolate, olive oil, sightseeing, etc.) considering your preferences. Please ask for our offer! We offer a discount for private groups of a minimum of 4 members. Please note that the price does not contain the flight expenses! You need to arrange your own travel details. We suggest WizzAir flights Budapest-Catania-Budapest way. Prices start from 28.000 HUF/person, depending on the date of reservation. After we took our rooms in the late evening, we will have a welcome apperitive with drinks and snack. A quick occasion to get to know each other and to enjoy a bit of the sicilian flavours. In the morning we will take you to the beautiful countryside of Chiaramonte, to visit an internationally renowned olive oil producer. Our host will be Lorenzo, the owner and manager of the Pianogrillo organic farm. He will bring us around the splendid estate, which includes olive groves, cypresses and vineyards on more than 80 hectares of cultivated land, and which gives home also to the special Sicilian black pigs, the Suino nero. During our tour we will taste Lorenzo’s olive oil and tomato sauce, and later we will enjoy a lunch in the garden companied with the Pianogrillo wines, from the white Grillo to the red Nero d’Avola. After arriving back to our accommodation we will start our “Authentic cooking course” with a Sicilian lady, who will teach us to prepare some classic local dishes, such as fresh cavatelli pasta from scratch, a plate of fresh salad and a quick dessert. All from fresh, local and seasonal ingredients such as ricotta, orange, eggplant and pistachio. We will enjoy together the delicious meal of the prepared dishes with wine. In the morning we will visit a typical cheese making farm, “masseria” where we will learn how they make Sicily’s well known Ragusana cheese, the Cacciocavallo cheese and the fresh ricotta. We will have the opportunity to use our creativity and prepare a fresh Provola cheese. 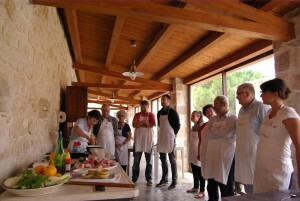 ‘Our tour will include a tasting-lunch, from all the delicious products produced at the “masseria”. This visit is a real authentic experience in the company of a very welcoming Sicilian family. In the afternoon we will have the opportunity to have a little walk in a charming little town, Ragusa Ibla. With its stunning baroque style buildings Ragusa Ibla is part of the Unesco world heritage. Not to forget about the culinary delights: during our sightseeing we can taste the best gelato in town! Dinner will be offered at our accomodation. After breakfast we will drive you to the magnificent city Syracuse where we will first stop at the famous food market in the old city. We can get inspired for our next cooking course with the rich colors and smells the market offers. It’s with no doubt the most lively place of the city, a real attraction not to miss. After the market visit everyone will have time to explore the beautiful old city of Syracuse, Ortygia, surrounded by the sea. Sightseeing and lunch on your own. Around 3pm we will leave Syracuse and go directly back to Scicli where we will find the location of the next afternoon cooking class. Luca, the owner and chef of the restaurant Al Galu will be our host for this cooking experience. Our menu will be based on mediterrian fish recipes and will be executed in a professional environment. After work a well-deserved dinner will be served from the dishes we prepared, along with some good house wine in the restaurant. 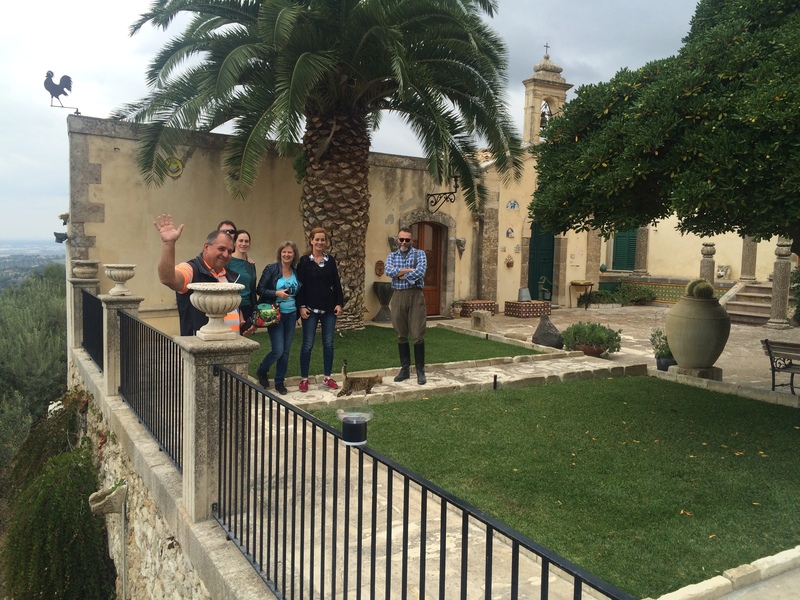 In the morning enjoy some relaxation time around the “masseria”. Before checking out from our accommodation and saying goodbye to our hosts Arianna and Luca, we will offer you an early lunch. Our last destination before the airport will be Modica, another magical little town with plenty of baroque style buildings. Modica is not only known for its’s beauty but also for it’s delicious chocolate, made with ancient aztec technology. To taste some of the best we will visit an old chocolate manufacture. You can do some free sightseeing around the city before heading to Catania airport. You need to pay a 30% deposit of the total price at reservation. your further questions about the trip. We are looking forward welcoming you in Sicily!